Why just download an audiobook when you can display it? Audiobooks are becoming a standard part of any book-lovers personal library. They allow them to enjoy their favourite author or narrator while commuting to work, walking the dog or just relaxing at the end of a hard day of work. However as audiobooks have become more digital they have also become more hidden in our all-important home libraries. Showing off an impressive list of audiobook icons on a tablet isn’t quite the same as pointing someone at the bulging bookshelves filled with well-loved dog-eared paperbacks. In Ear Entertainment wants to solve that by introducing its Audiobooks On Tape product. 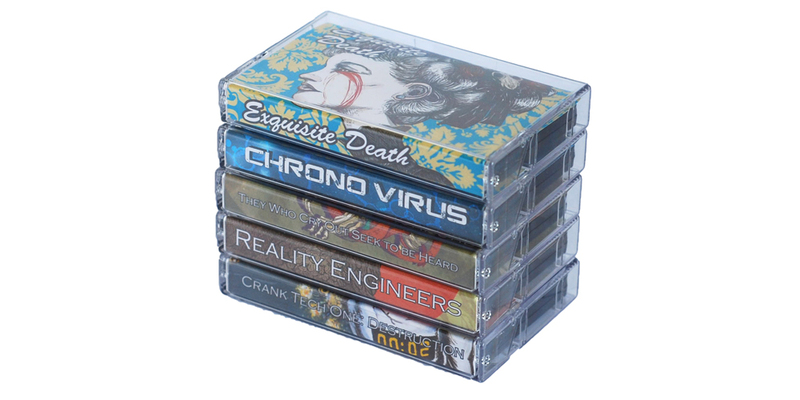 Linking back to the ‘books on tape’ that many people experienced in their youth, it sells audiobooks on a USB memory stick shaped like a cassette tape, complete with case, J-card and cassette stickers.